The Connect SDK repositories are adopting a modular approach with 1.4.0 release. Our aim is to provide flexibility to the developers to be able pick and choose between the various devices. 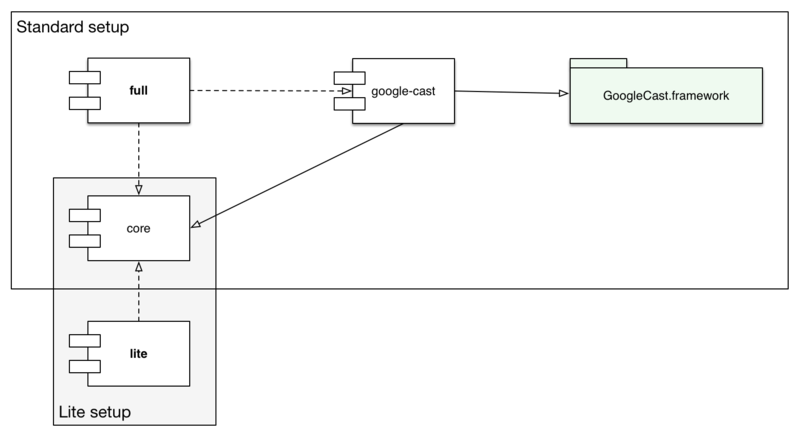 Currently you can choose to include Google Cast devices or not. We plan to Include more device options in the upcoming releases. 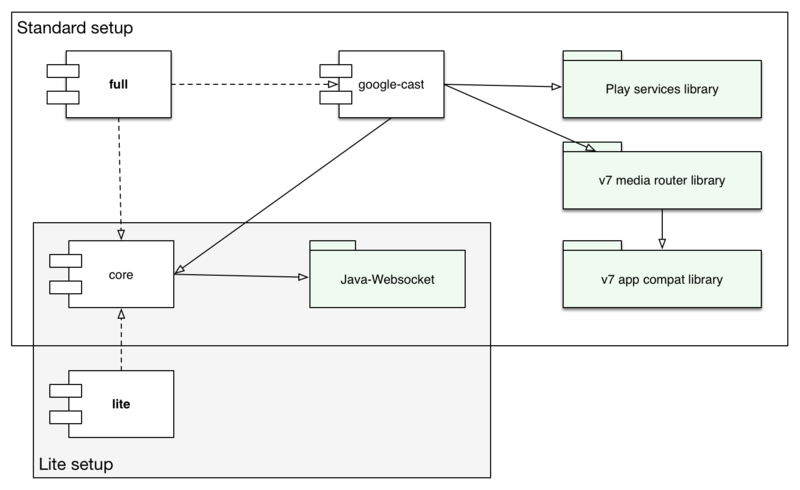 The full project (Connect-SDK-iOS and Connect-SDK-Android) includes two submodules: core and google-cast, and thus provides the full feature set. The latter submodule is located in the modules directory.